CHICAGO – Franchise-churning Hollywood has become so desperate to launch a bankable series every month that it’s now resigned to scouring the past for material, from oft-told faerie tales and outdated fantasy novels to familiar mythological figures. The premise of “Immortals” sounds like the spawn of an especially cynical business deal (“It’s Greek myths meets ‘300!’”), and results in a picture as dull and forgettable as the “Clash of the Titans” remake. CHICAGO – The sword and sandals epic has been around since the costume department fashioned the first toga. A modern take on this tried-and-true story line is “Immortals,” using the latest computer generated imagery to create the gods of Mount Olympus, the mortals of ancient Greece and their severed heads in 3D. 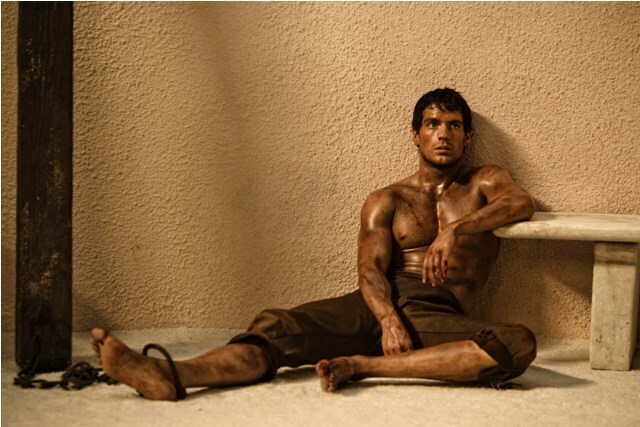 Henry Cavill stars in Relativity Media’s IMMORTALS. CHICAGO – This 23-image slideshow contains official press images for the Nov. 11, 2011 release of Relativity Media’s action blockbuster “Immortals,” directed by Tarsem Singh (“The Cell,” “The Fall”) and featuring a cast that includes Henry Cavill, Freida Pinto, Stephen Dorff and Mickey Rourke. CHICAGO – Like most instances in Hollywood these days, one gun-filled, explosive, action-packed film is never enough; not when a sequel can be made that promises the same exciting sequences and macho heroes. That is why it is no surprise that Lionsgate has given the green light to a sequel for the 2010 film “The Expendables,” titled “The Expendables 2,” and two of the biggest action stars of all time will join the fun. CHICAGO – Mickey Rourke must be a publicist’s nightmare. In the last few weeks, he’s been going around giving refreshingly honest reviews of his new film “Passion Play,” co-starring Megan Fox, Bill Murray, and Kelly Lynch and opening in New York and Los Angeles today, May 6th, 2011. He went as far as to call the film “terrible,” which might make viewers even more curious before this thing hits DVD at the end of this month. Is it THAT bad? Would Mickey lie to you? CHICAGO – Judging purely the film itself, “Iron Man 2” is a disappointment, a reasonably-entertaining slice of superhero escapism that still falls a bit short of its predecessor and fails to capitalize on what worked about that film. But this is not solely a film review and the Blu-ray is a stunner; a perfectly-transferred film with excellent special features. It’s a complete package even if the film may not be.